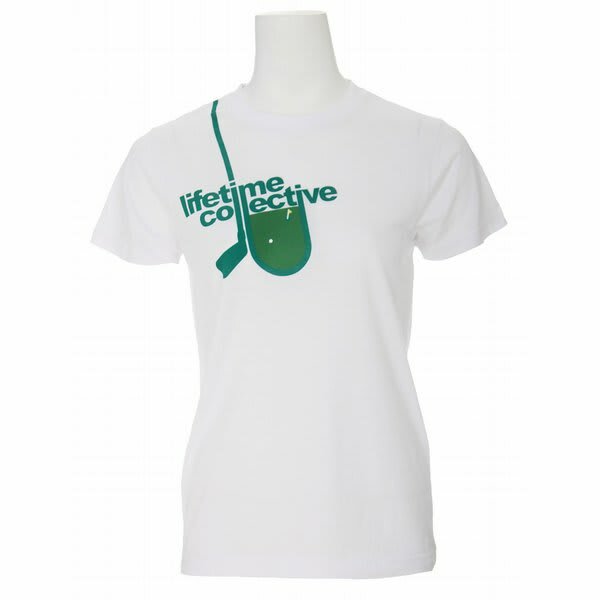 Ladies, if you enjoy more than just the 19th hole when golfing, you'll love the Lifetime Collective On The Green t-shirt. Pure cotton in construction, the shirt is high quality while being comfortable at the same time. 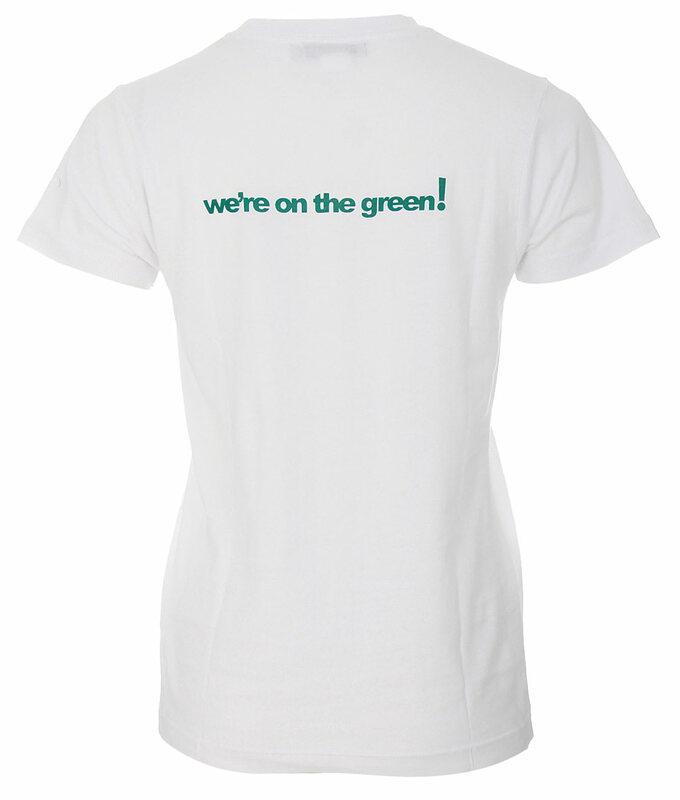 On the front, the shirt has the display of a putting green, while the back reads "we're on the green!". 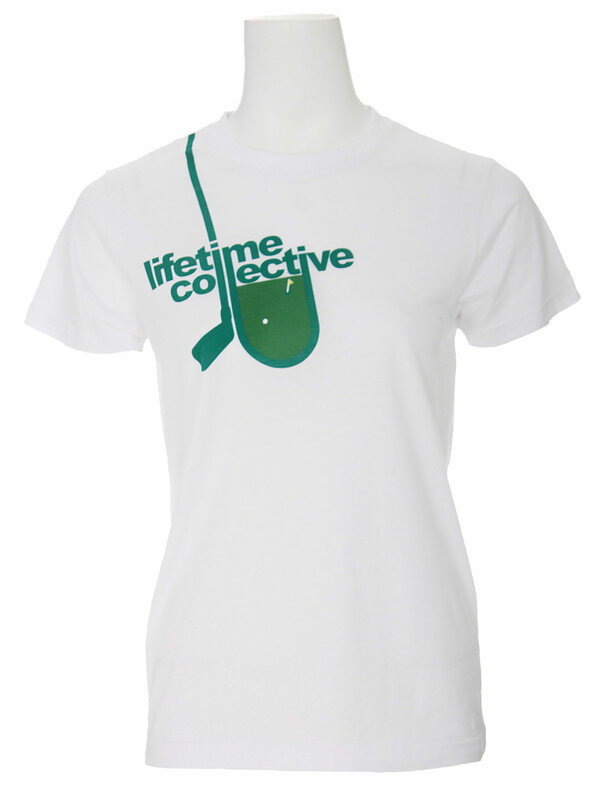 Perfect to show your love for the game of golf, or just a stylish addition to any collection.